March 23, 2018—Sixteen schools across Uganda have qualified to take part in the debate stage of the 2018 Stanbic National Schools Championships. 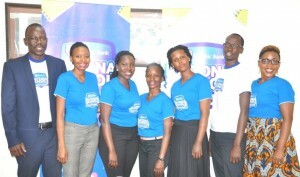 Kasekende (right) lines up with the judges who picked the 16 schools that have moved onto the next stage of the Championships. Each region will have four schools competing against each other and the winning two schools will represent the region in the finals. The debates are the fourth stage in Championships which started with a classroom test competition, followed by an oral quiz challenge then an essay in the Central Eastern, Western and Northern Regions. The students were tested on financial literacy, life skills, logical thinking and general knowledge. Lead judge, Tracy Kamau (left) said the students had shown considerable enthusiasm which proves the growing popularity of the Championships. Tracy Kamau an analyst and creative writer, also the lead judge on the essay competition said, “I must say the quality of competition has been very impressive thus far. The students have shown much enthusiasm which proves the growing popularity of the Championships across the country. Most important of all, is that they are learning many new useful skills helpful in their lives even if not all the teams are able to reach the finals,” she said. The schools selected to compete at debate level include Northern Region; Dara Christian High School; Dr. Obote College; St. Joseph’s College, Ombaci and Muni Girls Secondary School. In the Western Region Kyebambe Girls School; Mandela Secondary School Hoima; Kyenjonjo Secondary School and Bweranyangi Secondary School qualified. Kibuli Secondary School; Kings College Budd;, Nabisunsa Girls School and Mengo Senior Secondary are the representing Central Region. Schools in the Eastern Region are Nakanyonyi Girls School; Tororo Girls School; Ngora High School and St. Peter’s College Tororo. 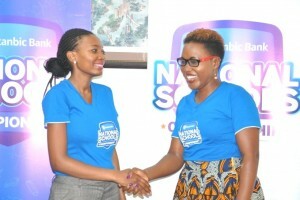 60 schools and 6,000 students have taken part in this year’s competition including both Government and Private Schools chosen with due consideration by Stanbic Bank’s partners in the Championship the Ministry of Education and Sports.